Organizations are racing to get ready for the GDPR implementation date of May 25, 2018. Complete GDPR compliance in a few months is likely not feasible for many organizations, but this shouldn’t mean that these organizations should give up. Making a good-faith effort and continuing to strive to improve are quite worthwhile. 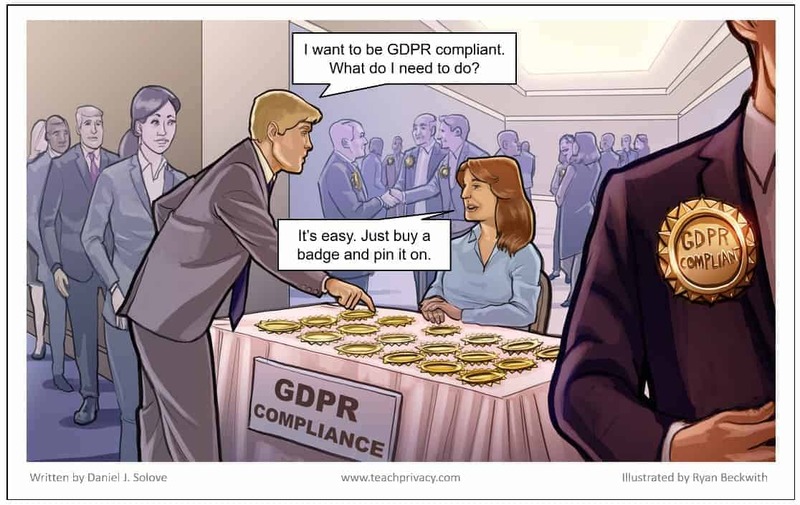 Recently, I created two new GDPR training resources. I created a 1-page visual summary of the GDPR, which I call the GDPR Whiteboard. The idea was to capture the key points of the General Data Protection Regulation (GDPR) in a succinct and visually-engaging way. It has become quite popular, receiving thousands of downloads. You can download a PDF handout version here. We’ve been licensing it to many organizations for training and awareness purposes. I subsequently created a new training module — an interactive version of the GDPR Whiteboard – the GDPR Interactive Whiteboard. When people click on each topic, the program provides brief narrated background information, presented in a very understandable and memorable way. Trainees can learn at their own pace. This program is designed to be very short — it is about 5 minutes long. It can readily be used on internal websites to raise awareness and teach basic information about GDPR. It can also be used in learning management systems.